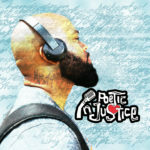 Mr. 44 has just announced the release of his new album “Poetic Injustice” set to drop April 23, 2019 and has released the official album art as well! Oh and don’t forget that Prhymal Rage was nominated for Best Hip-Hop group this year by Scene Magazine! CLICK HERE TO VOTE FOR “PRHYMAL RAGE” and help us bring the award home! voting ends April 11th! In addition to this news his OFFICIAL album release party will be April 27th, 2019 at The Symposium (under new management now) with special guest Carnage the Executioner. 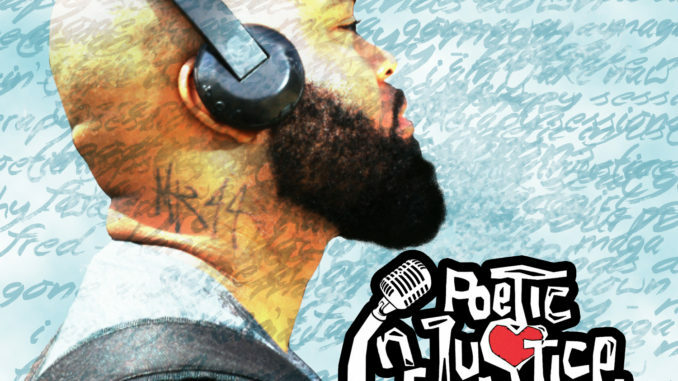 Poetic Injustice is a short and powerful album that addresses many things like racism, social classes, abortion, the state of hip-hop and many others over the soundscapes of Scenic Route and the Sun Gods (Doc Remedy and HellahMentals) and his brother Deep. The event page can be viewed here on facebook and we promise to bring something truly unique to Cleveland! Live freestyles, door prizes and the support of Carnage who builds his beats live on stage via beatboxing with a custom made loopstation and guitar effects pedals! We invited special guests Al Porter, Quincy “Big Heff”, Suave Goddi, Silver B, the Plain Dealer and Scene Magazine to give back and show appreciation for their hard work in the Cleveland hip-hop scenes! You should come too! In case you missed it, our newest member Clutch Lopez dropped his debut mixtape HERE last week and stay tuned tomorrow on www.PrhymalRage.com for a super special new release as well!